On May 2, 2018 an announcement was sent to members of the Cooper community from President Laura Sparks. I am pleased to announce that Dr. Barry L. Shoop has been named as the new Dean of the Albert Nerken School of Engineering. This is an important moment for The Cooper Union as Dr. Shoop’s selection is the result of a comprehensive, national search. By all accounts, he emerged from an intensive review process as the leading candidate of choice. His distinguished career includes extensive experience and leadership in educational pedagogy and curriculum development as well as demonstrated capacity in building innovative, diverse, and cross-disciplinary initiatives – all attributes that are essential to our future. I thank the Search Committee, chaired by Sam Keene, Associate Professor of Engineering, for its leadership and stewardship of this process. Following Dr. Shoop’s two-day visit to Cooper in April, the Search Committee voted on and approved a motion recommending that Dr. Shoop be offered the position of Dean of the Albert Nerken School of Engineering. He also had wide and deep support from the Cabinet. Dr. Shoop will assume his new position in January 2019. We are working to develop an interim leadership solution for the fall semester. 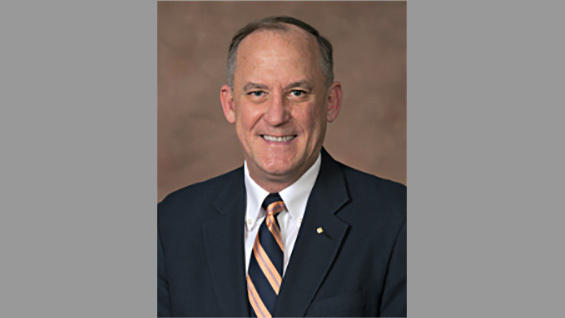 Dr. Shoop will join Cooper following an accomplished, 24-year career at the U.S. Military Academy at West Point where he is a Professor and Head of the Department of Electrical Engineering and Computer Science. Dr. Shoop is a Presidential appointee with Senate confirmation and holds the rank of Colonel in the U.S. Army. In his capacity as Department Head, Dr. Shoop is responsible for an undergraduate department with more than 80 faculty and staff supporting 2,300 students annually in ABET (Accreditation Board for Engineering and Technology) accredited programs in electrical engineering, computer science, and information technology. His department earned recognition as the #4 undergraduate electrical engineering program in the nation from 2018 US News and World Report. During his tenure, Dr. Shoop has increased student enrollment by 42 percent, preparing graduates to be leaders of character who think critically, innovate, and apply engineering and technology expertise in their fields and in service of society. He also supports three affiliated research centers, launching the Robotics Research Center; increasing external support for the Cyber Research Center; and previously serving as Director of the Photonics Research Center. Dr. Shoop has expanded the diversity of his department, appointing three women as Program Heads of electrical engineering, computer science, and information technology – an important and unique distinction among engineering programs nationally. Dr. Shoop credits this distinction with positively impacting the growing number of women enrolled in these majors at West Point. Additionally, he has had extensive engagement with the international community creating or assessing academic curricula in Afghanistan, Kenya, Saudi Arabia, Brazil, and South Africa. A proponent of innovation and cross-disciplinary learning, Dr. Shoop established the department of EECS as the model of interdisciplinary engineering capstone projects and research projects at West Point. This year alone, the department is supporting 13 projects including six departments and eight disciplines with 64 students and 25 faculty. The various research centers also support cross-disciplinary efforts that include faculty and students from a wide range of departments including history, law, social sciences, English and philosophy, geography and environmental engineering, systems engineering, mathematical sciences, and civil and mechanical engineering. Dr. Shoop is also highly fluent in the accreditation process having coordinated and synchronized three different reaccreditation processes of 10 ABET programs; all received full-reaccreditation. He served as a member of the Board of Directors of ABET as well as the Institute of Electrical and Electronics Engineers (IEEE) where he was also a past President and CEO, and the Optical Society of America (OSA). He earned his bachelor’s degree from the Pennsylvania State University and his doctorate degree from Stanford University – both in electrical engineering. He is also a graduate of the U.S. Army Command and General Staff College and the U.S. Naval War College. Dr. Shoop has authored or co-authored eight books and book chapters and more than 145 publications. I look forward with great anticipation to Dr. Shoop’s transition throughout the fall semester and his official arrival on campus in January. I know you will join me in celebrating this exciting milestone for the Albert Nerken School of Engineering and The Cooper Union.